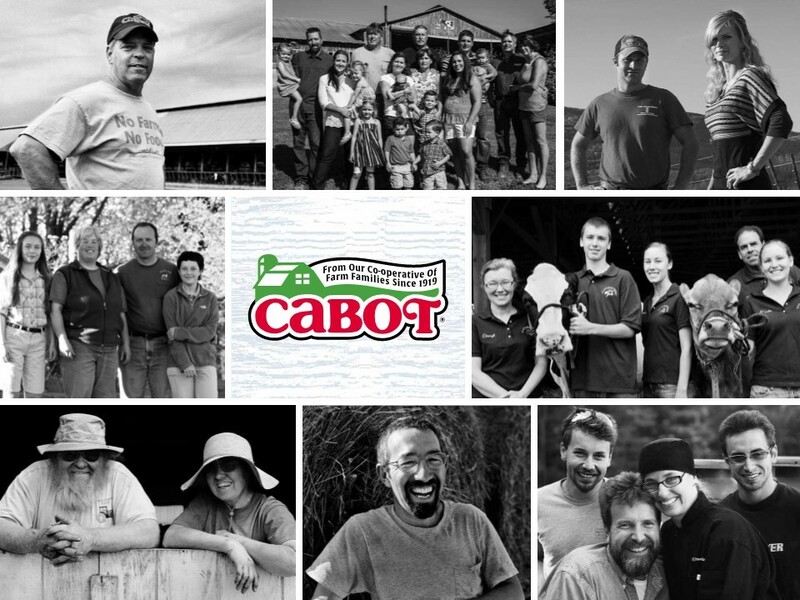 Neighbor, Farmer, Friend, Partner, Collaborator, Helper, Mentor, Supporter, Worker – these words describe the people who make up Cabot Creamery’s farmer owners. Our farm families own the co-operative and employees and farmers alike, embrace doing business with a greater goal than simply selling dairy products. The Cabot family works together because we know that the success of one person supports the whole community. As a part of our Sustainability team, I take a lot of pride in knowing that our Sustainability mission, “Living within our means and ensuring the means to live,” is right in line with the principles for which our co-op is built upon. Along every step of the way, I see a prosperous alliance between sustainability and the foundations of a co-op business model. People have the Power of Ownership – Everyone has a voice and a choice and all are included. A Co-op is a Member-Owned and Member-Controlled Business – it operates for the benefit of its members (for Cabot, that means our farmers! #FarmLove). Everyone who owns a co-op has a need for the products and services offered. The motivation is utilitarian, not for financial gain – and every one contributes equitably. Members democratically decide the direction and operations of the business with one vote each. A co-op aims to deliver the greatest benefit to ALL OF ITS MEMBERS. Goal is to provide members and customers with the best possible product or service at the best price vs. investor owned corporation where the goal is to maximize profits for its shareholders. In 2012 we became the first Dairy Co-operative to become a B – a certified B Corporation that is – and we worked hard to receive this certification, but we didn’t have to work differently. As a co-op, we naturally come by the values of corporate social responsibility from the very threads that sow together our business. Our farmers live and breathe the necessity of social, environmental and economic gains as a collective. From the very beginning in 1919, when 94 farmers came together with $5 per cow and a cord of wood to start the creamery, a commitment to cooperation was made and continues to govern the way we do business – no matter the growth we see or the change in political or economic landscape – almost 100 years later. As a B Corp, we are part of the larger ‘B Community’; as a co-op, we are part of the larger ‘Co-operative Community’. As a member of these communities, we have an advantage to living the good life. Businesses must drive positive change to overcome today’s pressing social and environmental challenges – and co-ops get that. Another thing that I love about sustainability and co-ops is their pre-competitive nature. Sustainability recognizes that what’s good for one person is often good for everyone – just like cooperation. The 6th co-op principle, Cooperation among Cooperatives is all about partnerships, working together today to build a stronger tomorrow. This concept is what has helped our co-op be sustainable as a business through the good years and the bad. 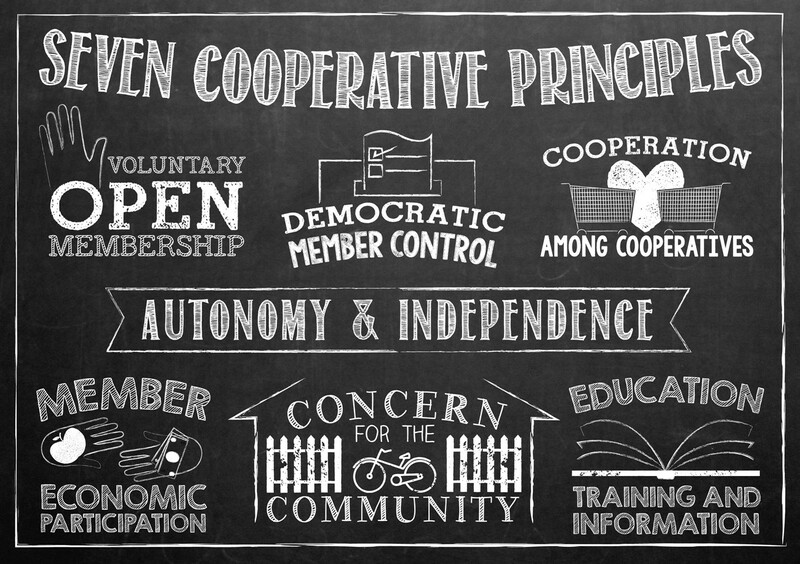 But the 7th co-op principle is my favorite: Concern for the Community – and I’ll tell you why. As a farmer co-op, this is where we shine. Our farmers are the people speaking at select board meetings, serving on volunteer fire departments, volunteering at community fundraising events, serving on watershed alliances, leading girl scouts and boy scout’s troops, coaching soccer games, volunteering time at food banks. We help each other, we learn from each other and most importantly, we listen to each other. Our support and friendship makes us stronger as a group and our leadership and mentors make us sustainable as we move into an ever-changing future. We are proud members of a co-op that we build upon each day. We are engaged. Having a democratic governance and transparency means we are constantly engaging – from farmers to administrative employees, manufacturing employees, customers, consumers and the communities where our farmers are and where we sell our products. We believe in sharing with our consumers what it means to be a Cabot farmer. 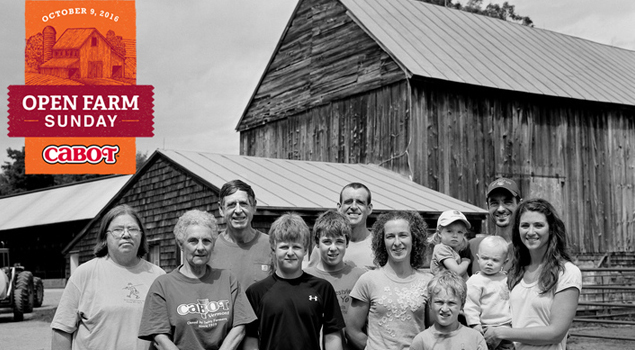 Our farmers have been defining the good life for generations in the way that they value family and community. 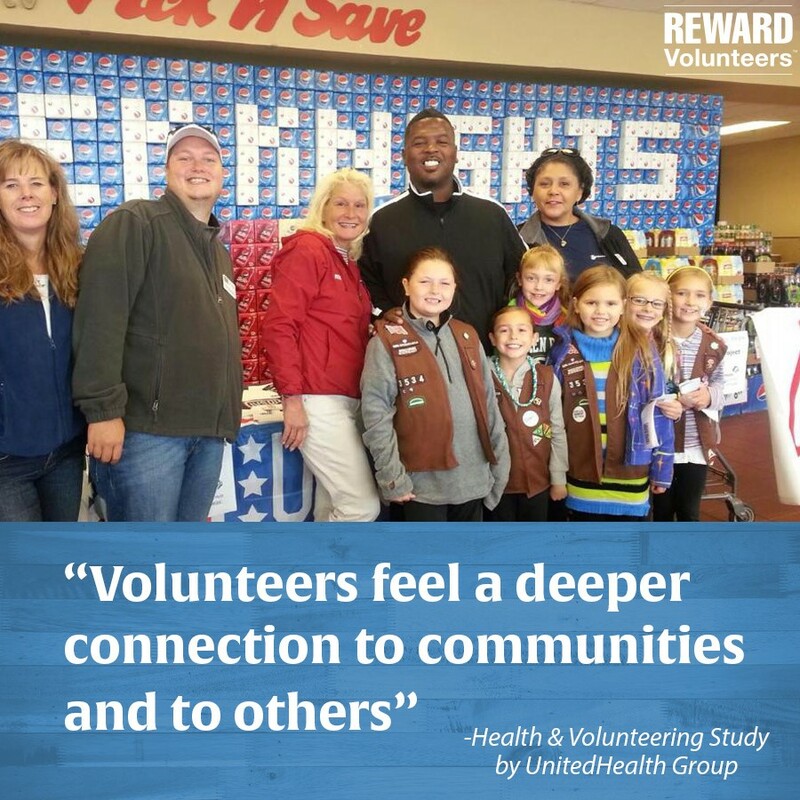 They are more often than not the ones who step up to volunteer in their communities. We embrace these values and reward volunteers – our employees, farmers and customers alike – for time that they give back to their communities and we donate to the nonprofits they work with. We tell our story. Visit our virtual tour, join us at an Open Farm Sunday, come to our site each week to read #FarmLove stories, follow us at #FarmGreen. Every opportunity we get, we reflect the values of the farmer owners to the customers and consumers who buy our cheddar. And that is truly what living the good life is all about for us. I will be speaking on Analyzing the Pros and Cons of Co-ops and Other Employee Ownership Models at SB’17 Detroit on May 25, 2017. Join me and connect with 2,000+ brand and sustainability leaders in Detroit for a collective conversation about how brands can position themselves for success against the backdrop of changing societal needs!